For years, Archer Roofing has been providing roofing services in the Seaside area. Our residential roofing and exterior technicians are certified and trained in all the latest techniques and products. 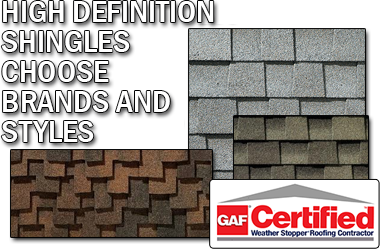 This knowledge sets us apart from other fly by night roofing and exterior companies who are less educated and take chances with your home. Dont let your home be their education. Educate yourself, make sure your roofer is certified , check their BBB listing. Do your diligence. Its your home, make sure you are protected with quality workmanship as well as top of the line products and warranties. Our website is designed to allow you to qualify our company, research services and review products and warranty options before you even contact us. This pre selection process saves time and provides our estimators and Archer Roofing home assistance specialists the information needed for your initial quote. Quick Tip- Print or save copies of our warranty information for your personal records. Even if you don't do business with us, keep them as a standard to hold against other contractors being considered. a representative from Archer Roofing will respond within 24 hours. Thank you for contacting Archer Roofing, a representative will contact you shortly. Most hail and wind storms can cause your roof damage. If you have experienced a high wind storm recently, get your roof inspected. For more information and links to insurance claim assistance, click the link below. High wind storms can rip shingles off your home leaving your roof exposed to rain or worse. If you have a leak or hole in your roof, time is not your friend. Call for emergency tarp covering to stop any additional damage.